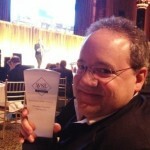 (MarketsMuse)-If not as widely-covered as the GOP or DNC primaries, financial industry publication Wall Street Letter (“WSL”) held its 6th Annual Institutional Trading Awards ceremony last night at NYC venue 583 Park Avenue and recognized best-in-class broker-dealers across 7 major categories, including Best Broker Dealer (OverAll), Best Broker-Dealer Research, Best BD-Client Service and Best Broker-Dealer across equities, futures and options. The WSL Awards also recognized the firms considered to be the top within technology offerings, including electronic trading applications and electronic exchange platforms. BrokerDealer TOP NEWS–courtesy of Law360-Top Story: SEC joins with FDIC in new rule for BDs deemed too big to fail, latest court ruling involving Madoff case, and more. The U.S. Securities and Exchange Commission and Federal Deposit Insurance Corp. jointly proposed a rule Wednesday intended to provide a more efficient liquidation process for large broker-dealers in the event they fail, carrying out a mandate under the Dodd-Frank Act. A broker testified in New York federal court on Wednesday that he relayed information about an impending $1.2 billion IBM acquisition to two former colleagues who are now on trial in a closely watched U.S. Securities and Exchange Commission insider trading case. A Manhattan federal bankruptcy judge on Wednesday blocked the latest investor suit targeting a Bernie Madoff associate for his role in Madoff’s massive Ponzi scheme, agreeing with the trustee for Madoff’s defunct securities firm that the $11 billion claims in Florida are preempted by a 2011 settlement. Victims of Bernard Madoff’s fraud cannot pursue a Florida lawsuit to recover $11 billion from the estate of Jeffry Picower, who they say helped perpetuate the swindler’s Ponzi scheme, a Manhattan bankruptcy judge ruled on Wednesday. U.S. Bankruptcy Judge Stuart Bernstein said the lawsuit by A&G Goldman Partnership and Pamela Goldman, their third effort to sue in Florida, violated an injunction barring Madoff victims from pursuing claims belonging to Irving Picard, the trustee liquidating Bernard L. Madoff Investment Securities LLC. A former Wells Fargo trader urged the U.S. Securities and Exchange Commission to overturn part of a finding by the agency’s in-house court that he made four trades on tips from an analyst, but asked it to preserve the court’s finding that cleared him in two other trades, according to a brief filed in the appeal. The U.S. Securities and Exchange Commission on Wednesday brought more litigation over an alleged scheme to hack into newswires to secure a trading advantage, filing suit in New Jersey federal court against Russian traders who allegedly scored more than $19.5 million in illegal profits. The Seventh Circuit on Wednesday refused to revive a shareholder derivative suit against the heads of restaurant chain Steak ‘n Shake filed over deals which purportedly enriched holding company CEO Sardar Biglari at the expense of the company, citing a lack of a sufficient challenge to company leaders’ business judgment. A former Deutsche Bank research analyst has been suspended from the securities industry for a year and ordered to pay a $100,000 fine over Securities and Exchange Commission charges that he let his relationship with Big Lots Stores Inc. executives taint his analysis of the company and its stock. A Texas federal judge on Wednesday found that an attorney violated securities laws in connection with a fracking water filtration venture, but did not immediately rule on $2.5 million in disgorgements and civil penalties sought by the U.S. Securities and Exchange Commission. The Internal Revenue Service on Wednesday released final regulations on brokers’ reporting requirements for transactions involving debt instruments and options, including the reporting of original issue discounts on tax-exempt obligations. The Eleventh Circuit on Wednesday refused to revive a Florida investor’s suit against Paulson & Co. hedge fund managers for his losses in a feeder fund, after Delaware’s high court answered a certified question from the appeals court by saying he had no direct claim. State-backed Spanish lender Bankia SA said Wednesday it will set aside €1.84 billion ($2.1 billion) to fully refund retail investors for their losses following the company’s doomed, 2011 initial public offering and to resolve ongoing litigation after the bank lost two appeals. Argentina has agreed to pay creditors EM Ltd. and Montreux Partners LP as much as $1.1 billion to resolve long-running litigation over the country’s 2001 default, according to documents filed Wednesday in New York federal court. A New York federal judge preliminarily approved a $27.5 million settlement Tuesday between Goldman Sachs Group Inc. and a class of investors led by hedge fund Dodona I LLC that sued over toxic collateralized debt obligations. A New York federal judge denied acquittal or a new trial Wednesday for two former Rabobank traders convicted of conspiracy and wire fraud in connection with a scheme to manipulate Libor, rejecting arguments their submissions to the global benchmark weren’t misstatements intended to cause harm. Genworth Financial on Wednesday blasted investors opposing the insurance giant’s bid to dismiss multidistrict litigation over an initial public offering delayed by a swell of mortgage insurance claims, telling a New York federal judge that they’ve relied on “irrelevant distractions” in an effort to rescue recanted testimony from the cutting-room floor. ADT Corp. urged the Delaware Chancery Court to toss a shareholder suit over $450 million in stock the company repurchased from a hedge fund, saying Wednesday the case nearly mirrors a challenge the court threw out 10 months ago. Nutritional supplement maker Cell Tech International shareholders on Wednesday urged the Ninth Circuit to find that an American International Group unit owes them them millions of dollars in prejudgment interest on a $4.1 million judgment against the insurer, saying a lower court erred in ruling that a $5 million policy limit precludes the interest. A group of investors in a real estate project targeted by a $136 million EB-5 fraud suit brought by the U.S. Securities and Exchange Commission urged a Washington federal judge on Tuesday not to let a receiver in the case sell the project without considering their immigration interests. Defunct investment bank Lehman Brothers Holding Inc. told the Second Circuit on Tuesday that its bankruptcy administrators are entitled to $67 million in foreign tax credits under the terms of a 1975 U.S-U.K. income tax treaty favoring newly enacted legislation. 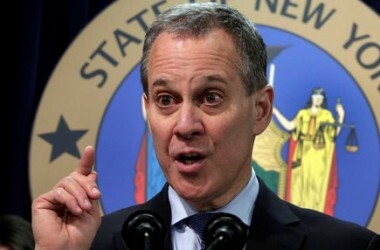 Law360, New York (February 11, 2016, 10:11 AM ET) — 6-Pack Bank and Global BrokerDealer Morgan Stanley agreed today to pay $3.2 billion to resolve claims that it misled investors about mortgage-backed securities before the financial crisis, New York Attorney General Eric Schneiderman said. The settlement is the latest among big banks related to the financial crisis, and ends government claims that Morgan Stanley misrepresented to investors the mortgages it packaged into securities. The settlement is the latest among big banks related to the financial crisis, bringing to a close government claims that Morgan Stanley told investors that the mortgages it packaged into securities were of higher quality than was actually the case. The firm’s misstatements cost investors billions of dollars and the problematic mortgages helped cause many homeowners to lose their homes or suffer significant financial losses, Schneiderman said. “Today’s agreement is another victory in our efforts to help New Yorkers rebuild in the wake of the financial devastation caused by major banks,” Schneiderman said in a statement. President Obama is using the last months of his presidency to offer a budget boost that can impact financial market regulatory initiatives via government agencies SEC and CFTC. Law360, New York (February 9, 2016, 11:14 PM ET) — A pair of Wall Street regulators on Tuesday laid out their wish lists for how to spend their budget bumps that President Barack Obama floated for fiscal year 2017, with eyes on ramping up enforcement and examination staffs to meet the demands of the Dodd-Frank Act and growing complexity of the markets. Under Obama’s plan, the U.S. Securities and Exchange Commission would see its budget expand to $1.8 billion, an 11 percent increase, for the next fiscal year starting Sept. 30 while the U.S. Commodity Futures Trading Commission would grow to $330 million, a 32 percent bump. His economic adviser, Jeffrey Zients, said on Monday this amounted a “down payment” toward a long-range goal of doubling both agencies’ budgets by 2021. In separate budget requests, both the SEC and the CFTC said they want to vastly expand their headcount and ramp up their spending on information technology to deal with emerging gaps and nagging shortcomings in their oversight. with enacted budgets that are permitting the SEC to begin to address longstanding resource challenges,” officials at the agency wrote. “In light of the continuing growth in the industry and the enormity of the responsibilities now placed on the agency, however, additional funding is critical,” they added. Nonetheless, the SEC said it would take that money to add about 250 full- and part-time staffers, bringing its budgeted headcount up to just under 5,200 budgeted positions. The vast majority of these new positions, or 127, would be earmarked for the agency’s Office of Compliance Inspections and Examinations, where they would focus primarily on conducting investment adviser examinations. For years, the SEC has struggled to examine more than 10 percent of the nearly 12,000 registered investment advisers under its watch, and about 40 percent of such firms have never been examined. Even with the proposed increase in examiner headcount coming out of the fiscal 2017 budget, however, the agency would only get to about 12 percent of registere advisers in a given year, the SEC noted. The agency also would like to ramp up enforcement, adding 52 positions to the division. 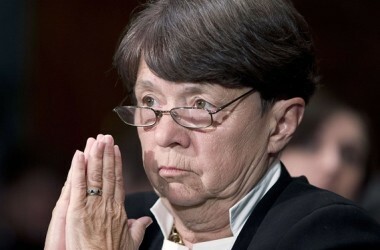 A dozen of those positions would reinforce its litigation efforts, the SEC told Congress. “This increased allocation will enable the SEC to litigate any case where it believes admissions of wrongdoing are appropriate under its new policy, if necessary,” SEC officials wrote. Other units would see more modest gains in headcount. 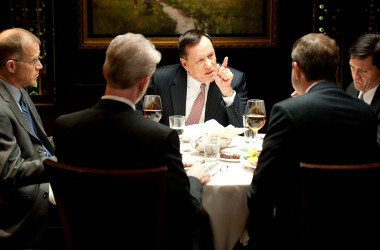 The Division of Corporation Finance would look to gain four more budgeted positions as it expects to contend with an increase in request for guidance from small businesses and investors around the new rules passed out of the Jumpstart Our Business Startups Act aka JOBS Act such as equity crowdfunding and the so-called Regulation A+. Over at the CFTC, Chairman Tiimothy Massad said he would use the additional $80 million that the president wants to give his agency to hire 183 full-equivalent staff across its divisions. “This increase is necessary because the commission has not received budgetary increases sufficient enough to allow full implementation of its responsibilities,” Massad wrote to Congress. More than a third of the proposed increase would go to bolstering the agency’s information technology infrastructure, Massad said. Within that total is the CFTC’s market surveillance function, which Massad wants to grow to 160 full-time positions, up from the current tally of 104 such positions. Such an increase would help support the agency’s development of automated surveillance and data visualization tools and ramp up its oversight of the uncleared swaps market, among other things. Beyond that, the enforcement division, which netted the government $2.8 billion in fines during its fiscal 2015, would be a big winner under the CFTC’s proposal. It would add 51 full-time equivalent positions to the 161 such staffers budgeted for the current fiscal year. “The commission not only has insufficient resources currently, it anticipates more time-intensive and inherently complex investigations due to innovative products and practices within the industry, including the use of automated and high frequency trading,” CFTC officials said.